Munich is perhaps our favourite city. Friends are often surprised when we say this, as the city, for them, still has too many associations with its Nazi past. But Munich today is a relaxed, friendly and hospitable city. Its centre is light, airy and spacious, yet compact enough that you can walk across it. And it has one of the finest concentrations of galleries and museums of any city in Europe. Yet, perhaps because of its dark past, Munich is not (yet) a tourist ‘must see’ like Amsterdam, Paris, Barcelona or Rome, and so those galleries are rarely crowded or afflicted with coach parties. Indeed in some of the less highly promoted institutions, such as the splendid new Egyptian Museum, or the truly overwhelming Bavarian National Museum, it’s possible, in some rooms, to be the only visitor. So, when Carol Main, Director of Live Music Now Scotland, asked for Board members to accompany her to an international gathering of LMN groups in Munich, I jumped at the chance. I’ve had the privilege of being involved with Live Music Now for over twenty years. The organisation was founded forty years ago by Yehudi Menuhin, and the Scottish branch was set up in 1984, and Carol has been its Director from the outset. Four years ago, it was devolved from the main UK organisation, but Carol still leads for the UK on international development and networks. Two years ago, she organised a highly successful international networking event in London, and now the LMN Munich organisation had taken up the challenge to host a similar gathering. In case you’re not familiar with Live Music Now, I should explain that its role is twofold: to help emerging musicians at the start of their careers, and to bring high quality performances to places and people that would rarely experience them: special schools, care homes, prisons and the like. LMN in Germany and Austria also owes its beginnings to Menuhin, but these groups were set up on a rather different basis. Where LMN in the UK is run by professional staff overseen by volunteer Boards, in the rest of Europe most Live Music Now groups are wholly voluntary. So, that meant that this international gathering brought together a large number of committed volunteers, not only from Munich, but also from other parts of Germany, from Vienna, from France and the Netherlands, and even from Chile. It was an extraordinary weekend, both for me and for Judith (several delegates had brought their partners as vital supporters and networkers!). Rarely if ever have we met so many people, from so many different countries and backgrounds, with whom we immediately felt such a profound empathy and sense of common purpose. But I shouldn’t suggest this was a solemn occasion—there was a great deal of laughter too (especially around the painful subject of Brexit). But the total commitment to the value of live music, and to enabling access to that value, was genuinely moving and inspiring. The whole event, however, had a much deeper and more haunting resonance. Our meeting was held in the Hochscule für Musik and Theater—entirely appropriate as the institution has very close links with LMN Munich. But the Hochschule is housed in a building that was constructed to be the Nazi headquarters in Munich. 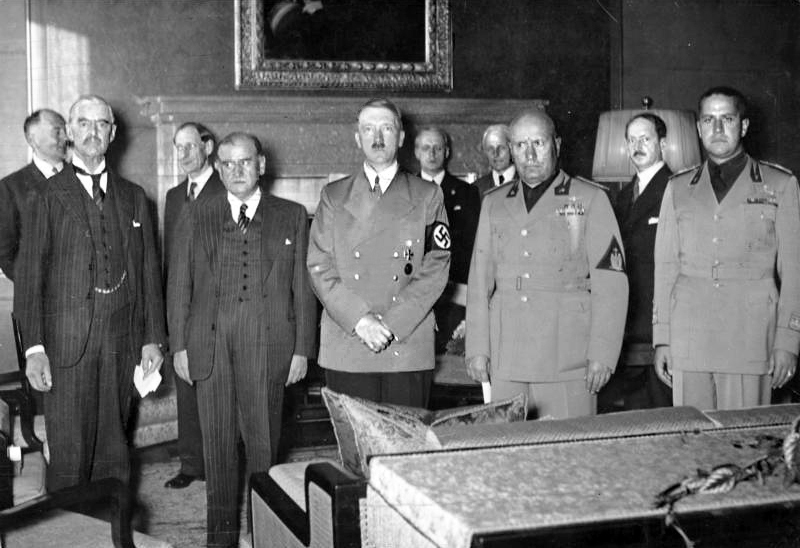 It is actually known as the ‘Führerbau’ and the room in which we were meeting had not only been Hitler’s own office, but was the location of the signing of the infamous 1938 Munich Agreement. For many this event was the unforgivable peak of ‘appeasement,’ though some see it as a desperate attempt by Chamberlain and Daladier to buy time for Britain and France to prepare for a war that they saw as inevitable. To add to the historic weight of the occasion, our meeting encompassed the 11th hour of the 11th day of the 11th month—marking the 1918 Armistice, just twenty years before that fateful gathering of the European Powers. The Hochshule’s Chancellor Dr Alexander Krause gave us an enthralling presentation on the history of the building, and led us on a tour of the cellars where, below 2.5 meters of concrete, 3,500 looted artworks had been kept safe from the Allied bombing which destroyed so much of Munich. 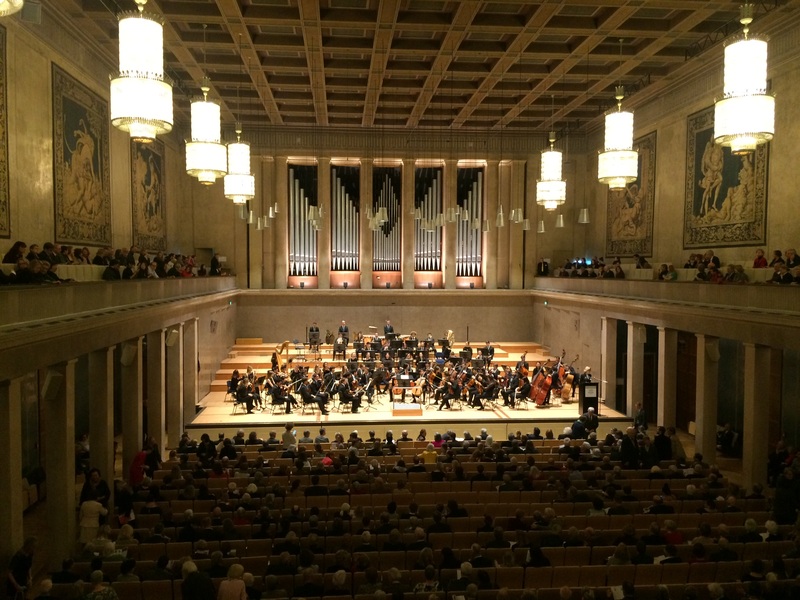 He spoke about the controversy around the survival, continued use, and planned restoration of the Führerbau, and of his and his colleagues’ belief that a school of music was by far the best means of ‘exorcising’ the building’s past. If we’d needed any demonstration of the power of music to support that argument, we had it that weekend. The day before our meeting, an evening reception had included an informal recital by two of LMN Munich’s most gifted alumni, of violin sonatas by Beethoven and Saint-Saens. It was a privilege to sit only a few feet away from such powerful music-making. Then, on the Sunday, we were guests of honour at a Benefit Concert for LMN Munich in the imposing marble splendour of the Herkulessaal. The great conductor Mariss Jansons led the Hochschule’s student orchestra in accompanying two of the school’s starriest graduates in violin concertos by Bruch (yes, that one) and Glazunov. The extraordinary level of music-making literally brought tears to our eyes. The future of classical music is safe in the hands of these amazing young people. The ‘relevance’ of classical music today is often questioned. It can be dismissed as an elitist artform, too closely linked to its historical context as an expression of courtly or bourgeois taste, or (especially opera) too expensive and too exclusive to engage with ‘ordinary’ people. Hearing those two remarkable concerts, in which young people devoted themselves, heart and soul, to bringing life to music from the 19th century, was a humbling experience. Played with such commitment and insight, even ‘old warhorses’ as familiar as Beethoven’s ‘Spring’ Sonata, or the Bruch Concerto, can reach places that very few artforms, or any other form of human expression, come close to. I think all of us, regardless of our nationality, came away from this weekend in Munich with a renewed purpose to continue Live Music Now’s invaluable work, and to continue to foster strong international links through the power of music. What an intriguing post! My second step-father had roots in Munich and so I read this with interest. Fascinating insights. This is to let you know that I have nominated your blog for the “Versatile Blogger Award”.